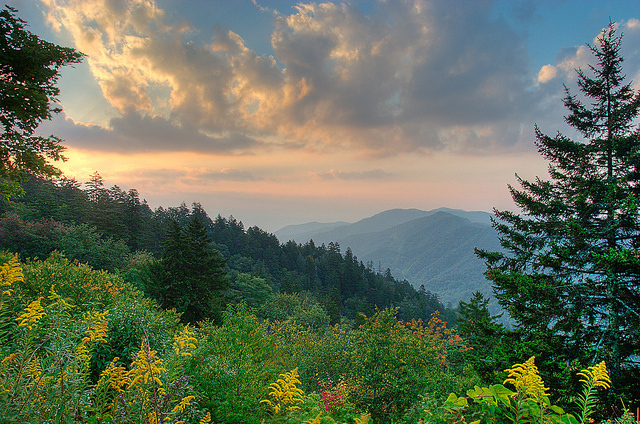 The pine tree (no specific type) was designated as the official state tree of North Carolina in 1963. The state's nickname "Tar Heel State" originates from colonial production of tar, pitch, rosin and turpentine from the state's extensive pine forests. Eight types of pine tree are considered indigenous to North Carolina, including the eastern white pine, loblolly pine, longleaf pine, pitch pine, pond pine, shortleaf pine, table mountain pine, and Virginia pine. 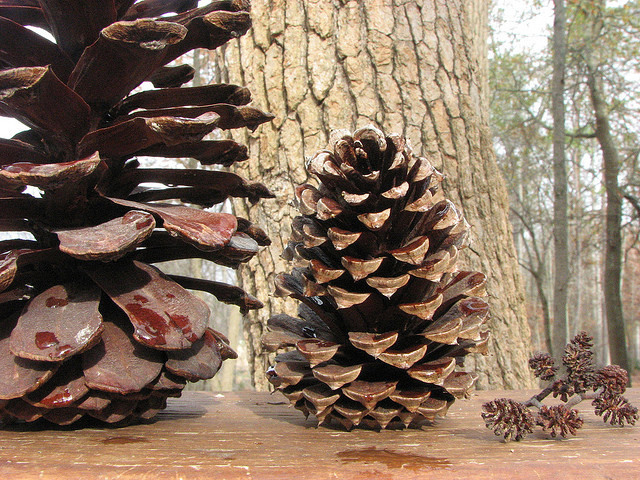 Pine cones L-R: endangered longleaf Pine, loblolly Pine, and alder; photo by Vicki DeLoach (Vicki's Nature) on Flickr (noncommercial use permitted with attribution / no derivative works).